 WCMCS internships are directed to PhD students enrolled in scientific institutions outside Warsaw. The interns will participate in lectures and seminars at the institutions of WCMCS (MIMUW or IMPAN, Warsaw branch) as well as in the research projects conducted by the faculty of WCMCS. The interns are supervised by mentors from WCMCS; they also teach up to 60 hours per semester. The length of an internship is a semester (Fall: October 1 st through January 31 and Spring: February 15th through June 15th) and it can be extended to up to three semesters. The monthly remuneration is 4500PLN, before taxes. The calls for applications to this program are announced twice a year: in the Fall (mid-October through mid-November) and in the Spring (mid-March through mid-April). Important note: the program will end in Summer 2017. There will be no calls for the academic year 2017/2018. The list of the WCMCS interns is posted here. research project with work plan, which should include a reference to the work conducted by a research group of the proposed mentor at WCMCS and information on the courses which the candidate wants to take. In addition, the applicant should ask his/her PhD advisor at his home institution and his/her prospective mentor at WCMCS to send their letters of support to the following e-mail address wcmcs.phd@mimuw.edu.pl . Students from Polish universities should also provide a letter of approval from the director of the PhD program at their home institution. Students applying for an extension or renewal of the internship provide of the same documentation as candidates applying for the internship for the first time. In exceptional cases time frames can be modified to meet applicant's needs. For a possibility of the PhD internship within different time frames please contact: A.Swierczewska@mimuw.edu.pl.